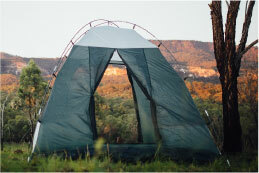 Carnarvon Gorge is a luscious oasis hidden in the rugged ranges of The Great Dividing Range. The white sandstone cliff faces form a spectacular gorge with interesting and ever changing side gorges, each with their own story to tell. The cultural and natural heritage that Carnarvon Gorge offers is second to none. The remnant rainforest in the side gorges is lush with Carnarvon Fan Palms (Livistona nitida), ancient Macrozamia cycads and ferns. Carnarvon Gorge is home to the worlds largest living fern the King Fern (Angiopteris evecta). The main walking track is enveloped by towering gum trees, among them the northern most Sydney Blue Gum found in Australia. The Art Gallery is one of the best examples of stencil art in Australia with over two thousand engravings, ochre stencils and freehand paintings. 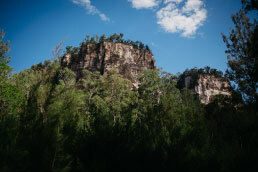 The Art Gallery is a 62 metre long sandstone wall and is a fragile reminder of Aboriginal people’s long and continuing connection to the Gorge.